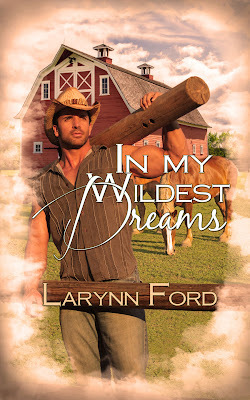 Larynn Ford: It finally happened! In My Wildest Dreams was released on Amazon.com in the late hours of April 16 and I couldn't be happier. Such a wonderful surprise even though I knew it was coming. Two of my chapter mates, Meda White and Christine Glover have been so kind as to help me promote my new book by posting interviews with me on their beautiful blogs. Stop by and leave a comment, I'd love to hear from you! Here's the cover and a hint of what it's all about. When she becomes the victim of several life-threatening incidents all in one week, it seems fate is out to put an end to Lynzi Lancaster. Her close calls with death trigger a series of dreams about a magical place and a certain man who broke her heart twenty years ago. Layne Brady. Could her life get any stranger? When the star of her dreams announces in person that he had faked his death for twenty years in order to protect her, oh, and that he’s not actually human, the fireworks begin. Does she believe his extraordinary story of another world, the magical world of the Fae? Do fairies really exist? Should she trust her heart? Could her dreams come true?